Azure Striker Gunvolt will have an OVA! The Flagship IP of Inticreates will appear in Anime form this Winter. 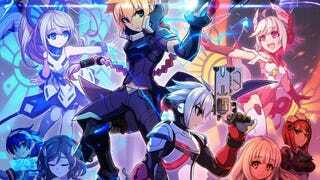 In Anime Expo it has been revealed that Azure Striker Gunvolt will have an OVA that will appear this Winter. The story is still a mystery; still the Staff it has been revealed alongside a Teaser. Revealed to the public for the first time at our panel at Anime Expo 2016, our flagship IP Azure Striker Gunvolt is making is debut as an anime! Besides that they revealed also that a physical release that contains both Azure Striker Gunvolt 1 and 2 is being prepared for the Nintendo 3DS.The second entry is still in development; you can get the original in the 3DS eShop and on Steam.